Knitted bellflower free patterns, learn how to knit a beautiful bellflower, knit bell flower pattern, easy knitting patterns for beginners, knit flower embellishment pattern. 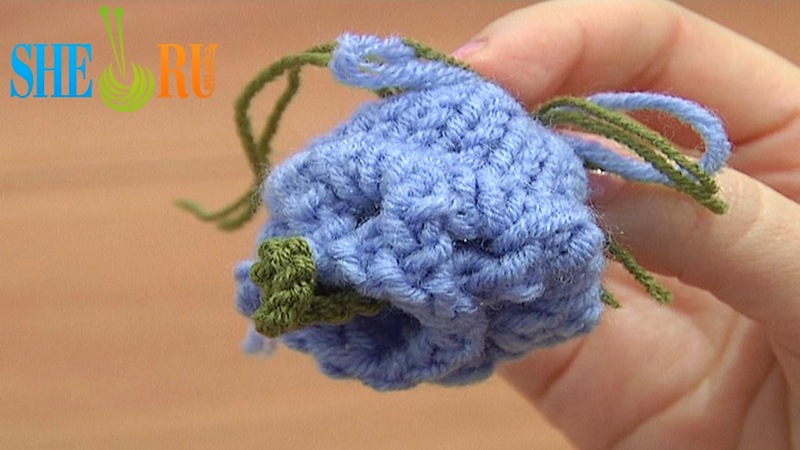 This knitting video tutorial teaches you how to knit a very cute bell flower with chain stitch crochet stamens. This cute little flower is perfect for embellishing kids clothing, hats, bags, and for decorating your own handmade pieces! Thanks for watching!To make this knit flower you need yarn: 50% Merino, 50% Acrylic, 280 meters/100 grams, weight - DK/8 ply(11wpi); textured fur yarn for the center: 100% Polyester, 59 meters/50 grams, Weight - Bulky / 12 ply (7wpi). Knitting needles 4 mm, Crochet hook 4mm and a tapestry needle for finishing.